Fleming is also one of three, count ’em three, Gret Stet House members who are doctors. They’re all throwback physicians, fewer young doctors are Republicans because of that party’s loathing of science. Why is that the House docs are some of the stupidest/craziest members of Congress? Fleming’s comments conjured up images of the California gold rush in 1849. The gold rushers were called 49ers, so perhaps the “flood” of weed addled people to Colorado should be called Fourteeners. It scans pretty well but I doubt if the Denver Broncos would change their name. John Elway and his giant, scary teeth would not approve. I think it’s time to give this obscure backbencher from Shreveport a nickname. 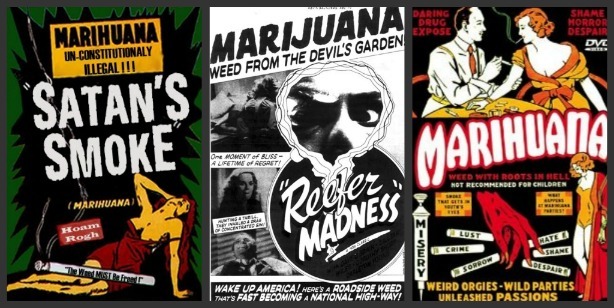 I hereby dub him Dr. Reefer Madness. He keeps such a low profile that I may not use it but if the need arises, I’ll fire it up. I suspect that these former physicians were as competent in the field of medicine as they are legislation, which prolly explains why they are no longer in the field of medicine. I could possibly see someone of knowledge saying that weed is 4 times worse than tobacco. After all, the scale of “worse” isn’t really worked out plus the presence of hard, unbiased studies is still sparse. But that homeless are moving to Colorado for weed ? As I understand it, it might be state-legalized there but it is expensive (including a substantial state tax). So where do the homeless keep all their extra money ?